Save $5.50! 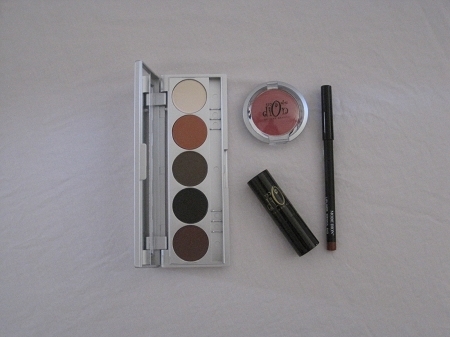 Kit includes, 5 color Pro Pallet Eye Shadow/eye liners, Sienna/Russet Lip Pencil, Stage Red Cheek Color and Stage Red Lipstick. Comes in a beautiful jewel drawstring bag.